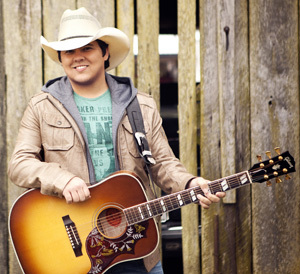 Breaking new Curb artist Tim Dugger is addicted to the “fast lane” –whether it’s horsepower in the pursuit of superstardom in country music, or hanging-out at the track with the major names in NASCAR who just happen to be his “good buddies.” Speed is in the blood of the Alabama born native. After forming his own bands as a teenager, in a few short years his reputation as a performer kept him on a solid road schedule of club performances throughout the south. As witnessed by his debut single, (I Called Her) Tennessee, a world of new country fans are about to have Dugger on their playlists. Tim’s music reflects his passion for a great country lyric and his debut album for Curb offers the proven production genius of veteran producer Jim Ed Norman whose long list of credits include the Eagles, Linda Ronstadt and Kenny Rogers. Sharing stages with artists of the caliber of Trace Adkins, Diamond Rio, Sarah Evans and Craig Morgan gives further witness to Dugger’s ability to command attention with his own special brand of music and onstage charisma. His featured spot in the television reality series, Highway To Fame took the message wider that a new major career was in the making. With new music on the horizon and with smoldering good looks and southern charm packed securely under his cowboy hat, America’s about to buckle up for Dugger’s fast ride to the top. Dugger is philosophical about the potential of super stardom on the horizon. “The only goal I had setting out in music was to make a living at it so I’ve already been very blessed. This world is very stressful if you’ve written a song that can give someone a lift for three minutes —I think you’ve done something pretty cool.